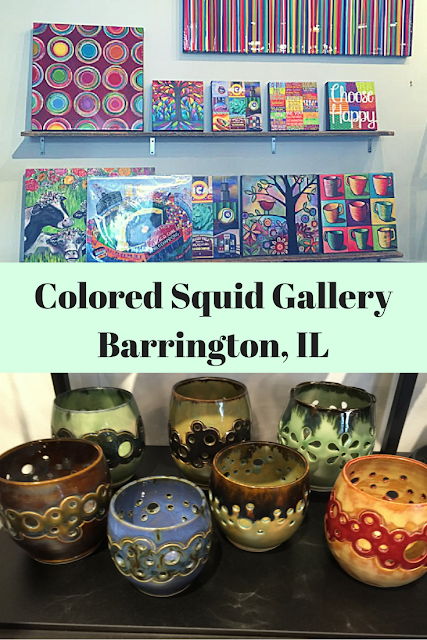 We had some time to spare on a recent to visit to Barrington, so we made a visit to a new to us gallery -- Colored Squid Gallery. 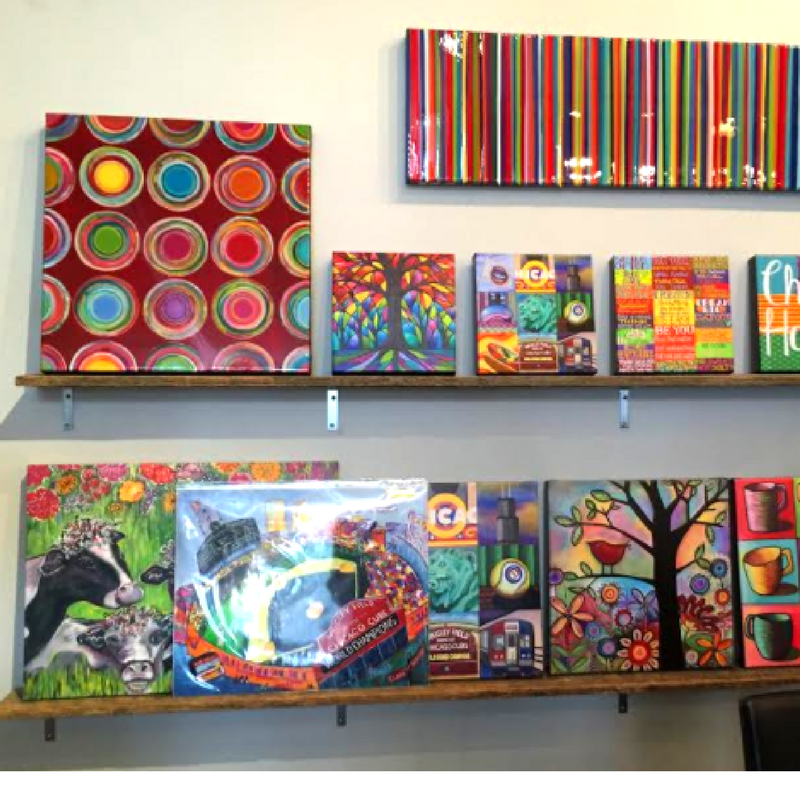 Colored Squid Gallery is an amazing cache of artisan items made locally and across the USA. The store appears deceivingly small inside. The minute you start perusing, you will surely note that there is a lot to look at. I had to take several swings through the store and I still felt that I missed treasures. 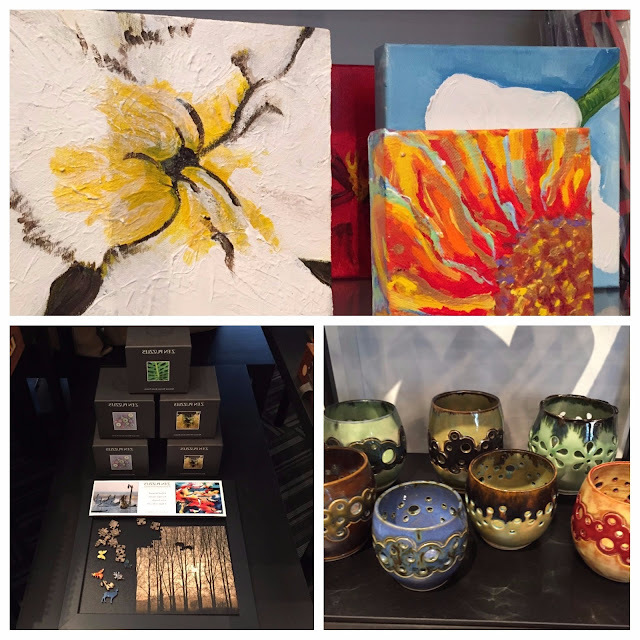 Paintings, pottery and puzzles -- oh my! Paintings, jewelry, soaps, scarves, decorative pillows, puzzles, pottery, paint-by-numbers and more, Colored Squid is home to an eclectic mix of handcrafted items. 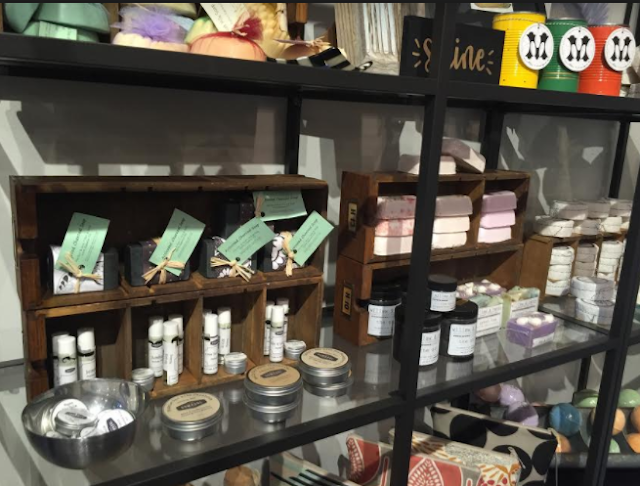 Bath bombs, decadent soaps, nifty candles, fun bath bombs, stylish bags and so many other items will not only be useful in filling out gift lists but also inspire you to treat yourself to a gift! The collection of peppy and inspiring wall decor happens to by one of my favorite parts of the gallery. I love that there are so many small pieces because people often are looking for small additions and can't necessary afford higher art prices. This gives more visitors the opportunity to come home with their own art piece! Plus, they are beautiful! In addition, there are Chicago pieces -- so great for a souvenir! 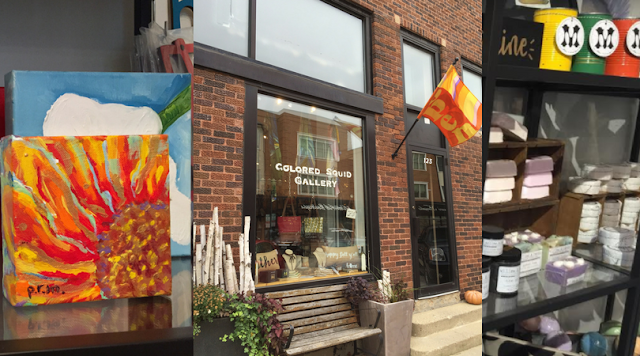 Next time you are in Barrington, take a whorl around Colored Squid Gallery. Ok, you may need to take a couple of whorls because there is so much to see. Such a fun little gallery and a fabulous place to shop for artisan items. You are welcome! Love the store!